Beef rending would have to be one of my all time favourite South-East Asian dishes. It has a rich and complex flavour that is quite different to Indian and Thai curries. It’s Indonesian in origin but hugely popular in Malaysia as well. 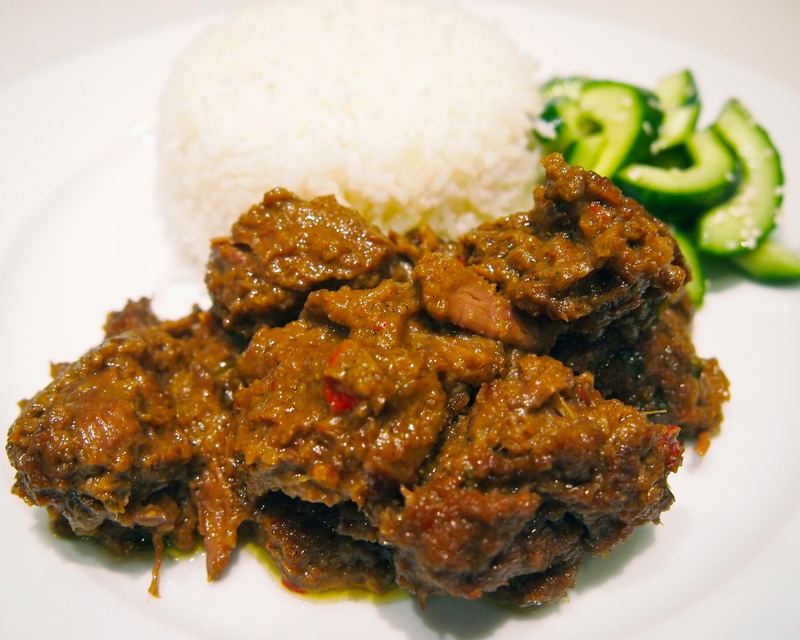 Beef rendang can be cooked to yield a very dry curry or a more liquid curry and I like mine to be somewhere between the two. The Indonesians in particular cook their rending until it’s very dry and dark. 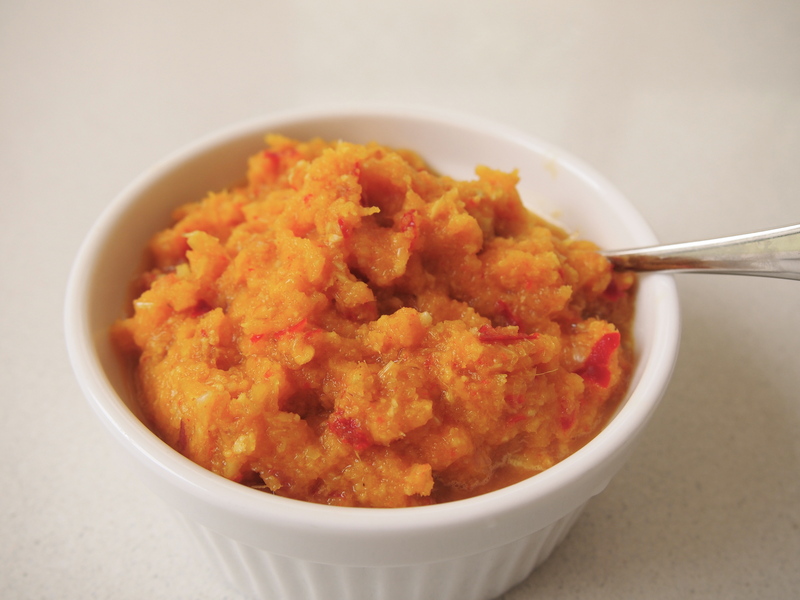 I’ve experimented a lot with different recipes and the one below is a combination of a few different methods and spice blends which hit all the right spots for me. Don’t be put off by the long list of ingredients as the method is actually very simple and whilst the cooking time is long, it needs very little attention once it’s underway. As this is quite a rich dish it doesn’t need much in the way of accompaniments, a generous amount of steamed rice is a must and the only other thing I like to serve alongside is a salad of sliced cucumbers. 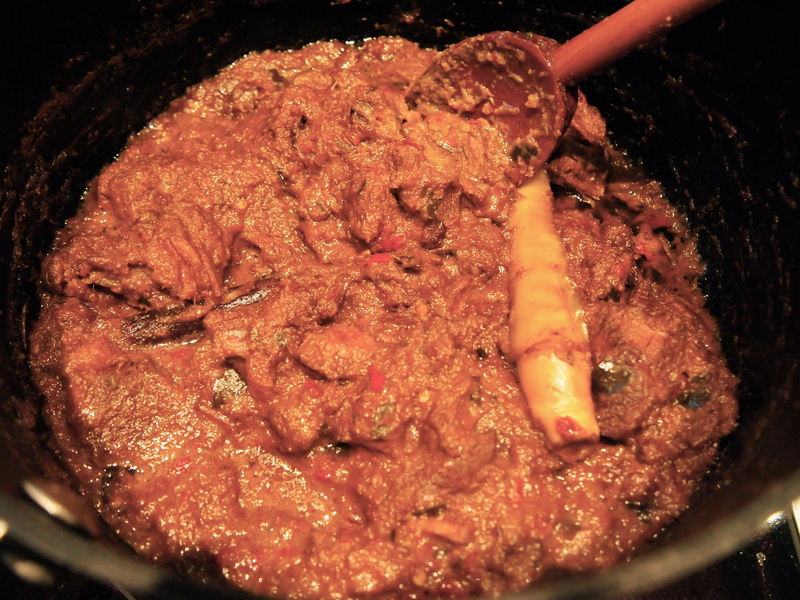 Rendang purists will note that I’ve left out one vital ingredient – turmeric leaf. If you can source it, adding a finely sliced leaf will make this truly authentic but even in Sydney where there are Asian grocers galore I’ve found this ingredient hard to come by. Process the chillies, onion, garlic, galangal, ginger, the thinly sliced lemongrass and the reserved 2 tablespoons of soaking liquid in a blender or food processor until it forms a paste. 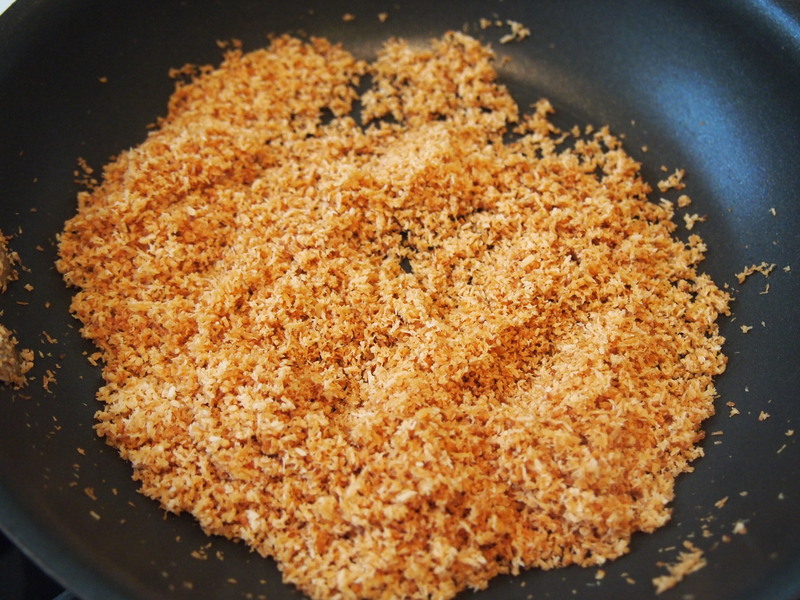 Heat a fry pan over low-medium heat, add the coconut and stir until it’s uniformly golden and toasted, being careful not to scorch it. Place the coconut in a mini food processor or mortar and pestle and blend until it’s broken down. Heat the oil in a heavy-based saucepan and add the paste and the lime leaves (if you are using turmeric leaves you should add it now – see note above). Fry, stirring constantly until fragrant – about 5 minutes. 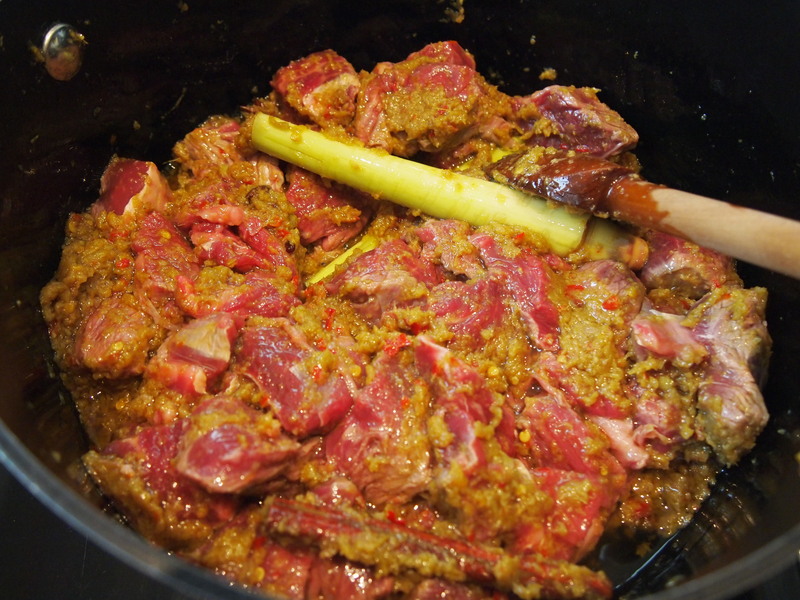 Add the meat, the bruised lemongrass halves and cinnamon stick. 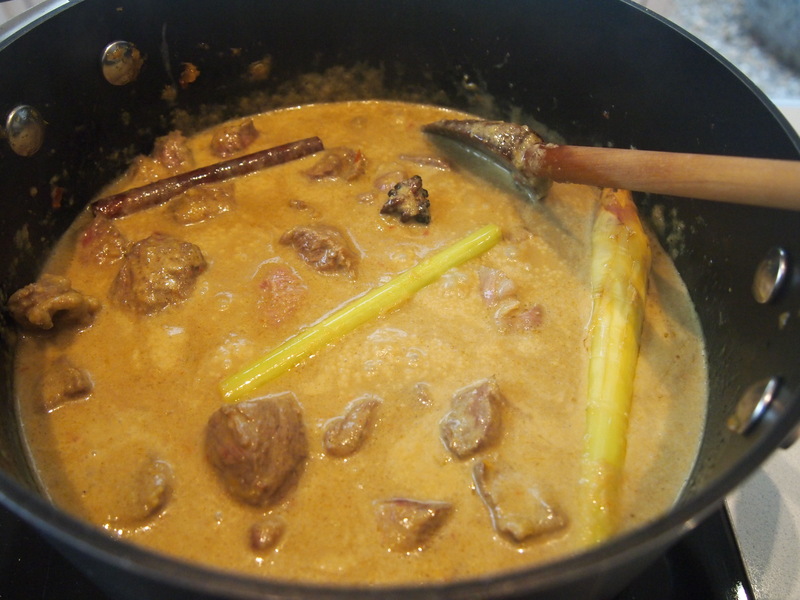 Stir in the coconut milk, tamarind paste, 1 heaped teaspoon of salt and curry powder and mix until well combined. Add the water and toasted coconut and bring to a simmer. 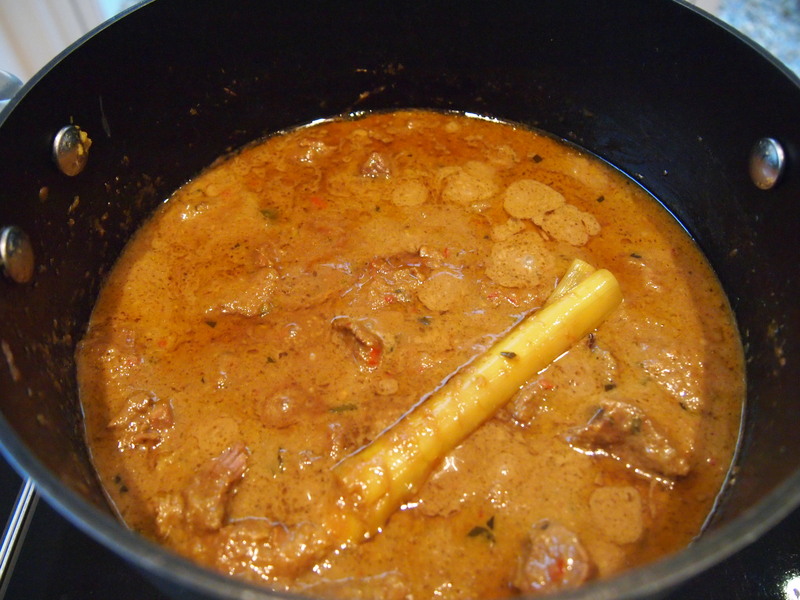 Lower the heat to a very low simmer and cook uncovered for about 2 hours, or until the meat is very tender. Check the rending occasionally and if it is getting too dry add a little extra water. To finish, add the soy sauce and season to taste with extra salt if required. Serve with steamed rice. 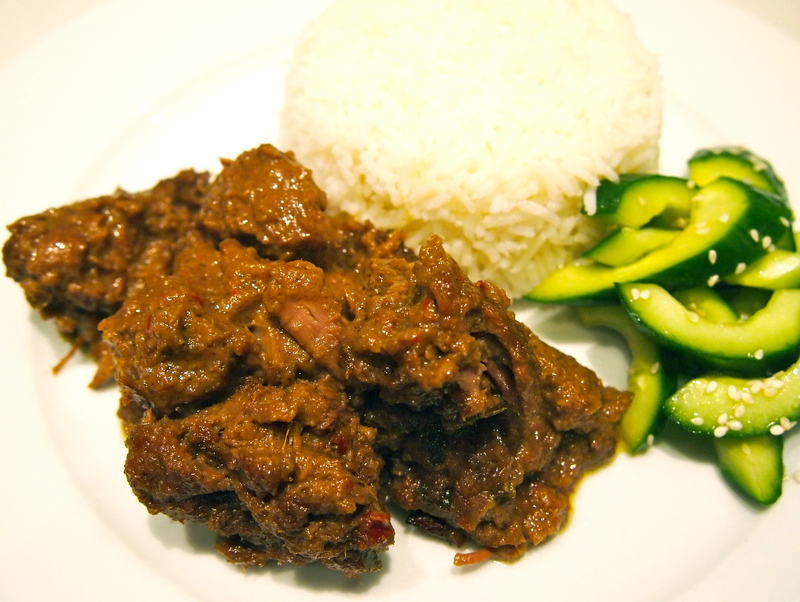 Hi Mira, Thanks for the comment and hope you enjoyed the Rendang!